As I've mentioned in my Petronas Twin Towers post, we didn't avail ourselves of a tour to the twin towers' observation deck since we've done that in KL Tower. 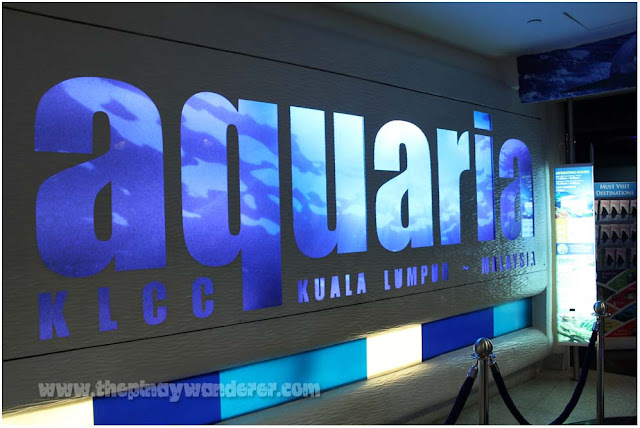 Instead, we visited Aquaria KLCC because my friends wanted to check out this oceanarium. I've already visited an oceanarium before (Manila Ocean Park) so I'm not that excited with Aquaria but since I have nothing else to do, I agreed to join them. So after more or less three hours of window shopping and roaming around Jalan Petaling, we went to KLCC (Kuala Lumpur Convention Center). Everything in KLCC seems classy; this being the home to the stylish and high-end shopping center Suria KLCC and the high and mighty Petronas Twin Towers. But since we don't have money for luxurious shopping (purita us...hehe! ), we didn't roam around Suria. Instead, we went straight to Aquaria. 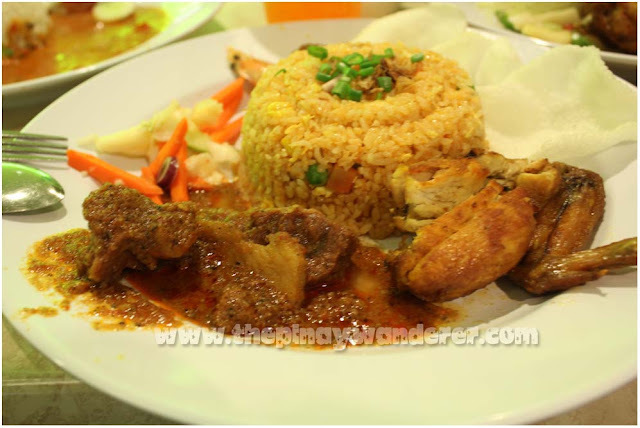 But before we started our tour, we first had our lunch at the KLCC food center. Seeing an asian food stall, we chose to buy our foods there thinking that it would taste like our foods here in Manila. It turned out the food still has the Malaysian twist - spicy that is, super, to the max! One of my friends had to buy her foods twice because she can't stand the spicy food she got on her first order. She ordered the second time, and though the crew said it's a "little spicy", she still find her order to be too spicy. This set meal was my order, a bit spicy but since I love spicy foods, I was able to enjoy it. For those who are not into spicy foods, please note that a "little spicy" (by Malaysian crew's standard) might be too spicy for you so better ask for a meal that is not spicy at all. Anyway, after this super hot lunch, we then proceeded to Aquaria. 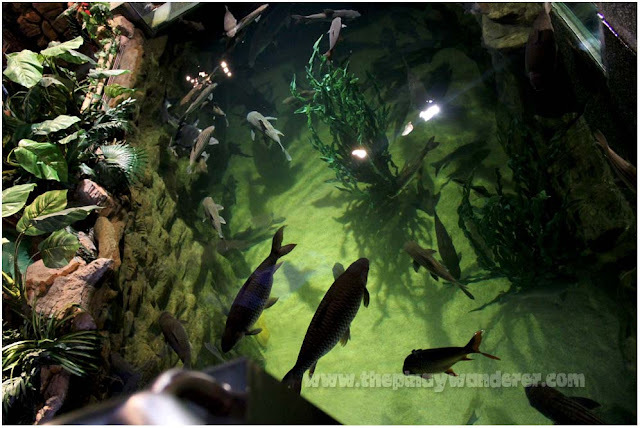 Aquaria KLCC is a state-of-the-art oceanarium located in KLCC adjacent to Petronas Twin Towers. 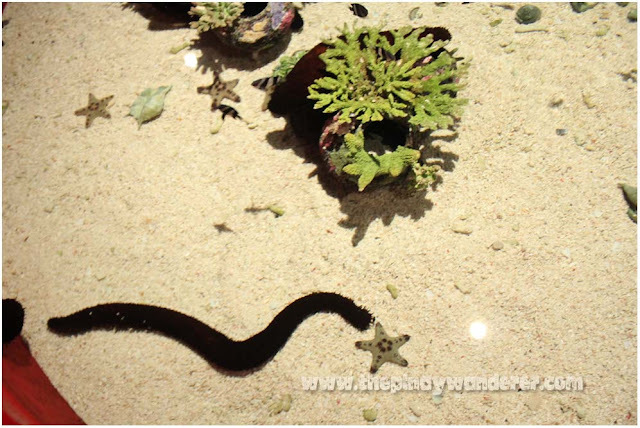 It showcases a variety of marine life forms and some land-based creatures occupying an area of around 60,000 square-foot. 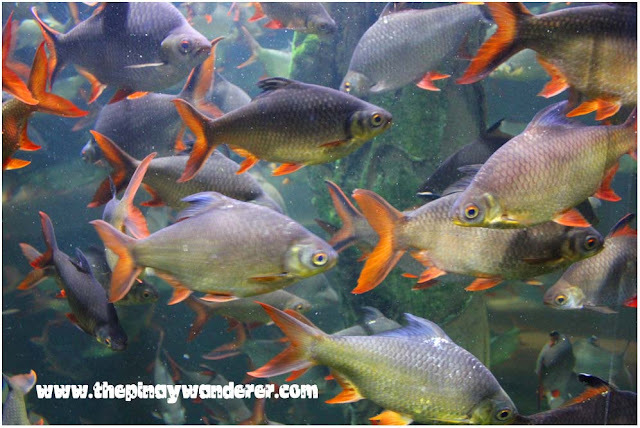 Like Manila Ocean Park, it features several aquariums of different sizes with various marine life species in it. 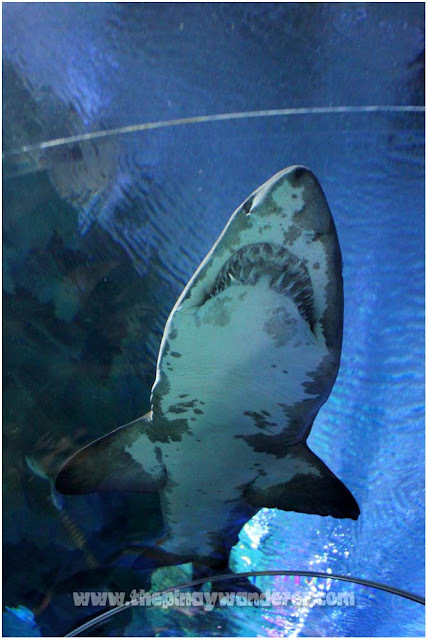 It also has a transparent tunnel where you can view up close some wild marine creatures like sharks, stingrays, sea turtles and other marine life forms. 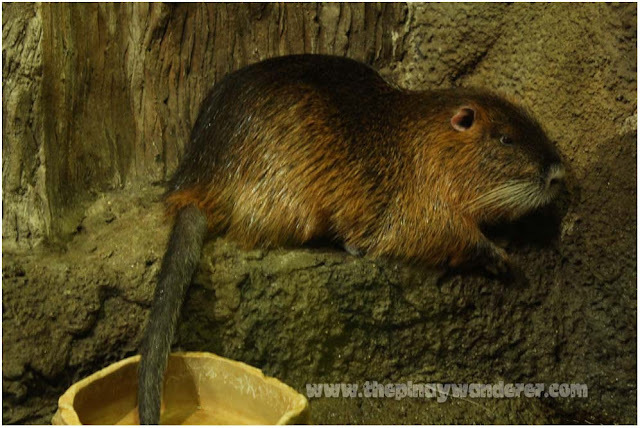 Next stop: the stream, home to land and aquatic animals like otters and rodents. 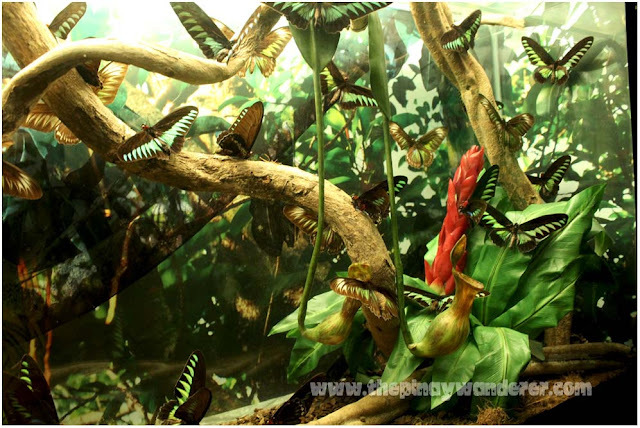 Next stop: jewels of the jungle, a section where various life forms that are usually found in the jungle can be seen including exhibits of butterflies and other insects. 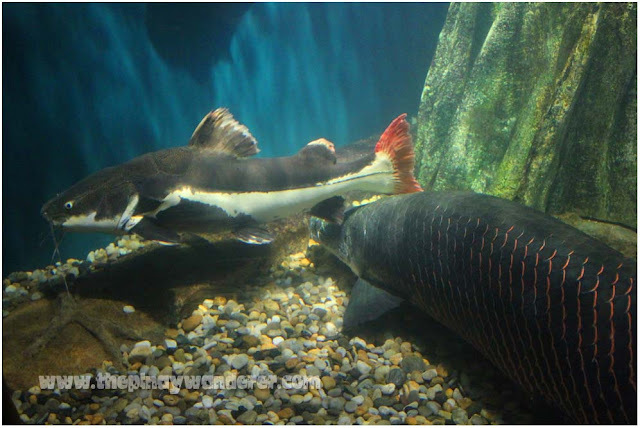 Next stop: flooded forest, the section where school of fishes in a lighted tube tanks can be found. 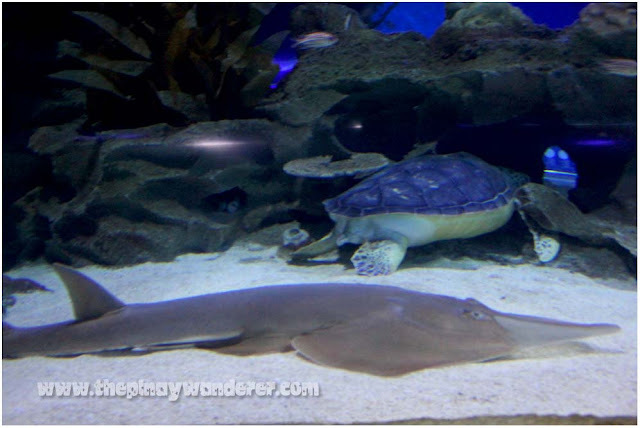 And last but not the least: the oceanarium, a 90-meter transparent tunnel with a walkalator where you can view up-close the various wild marine animals like sharks, giant stingrays, sea turtles, etc. End of the tour, hope you enjoyed...hehe! Mahilig ako sa slightly spicy na food pero ayoko nun bongga! Natakot din ako sa green snake, bakit parang nakatingin siya saken?? 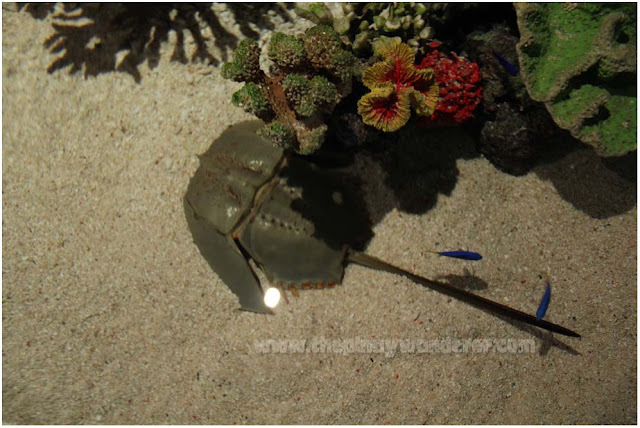 Kyut nun horse shoe crab, ngayon lang ako nakakita nyan! 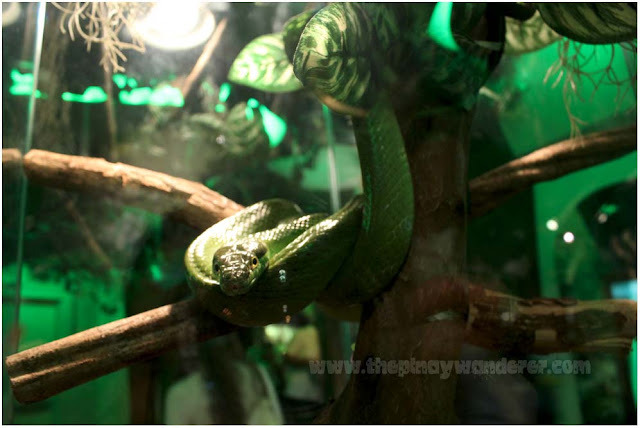 Ang galing nong green snake... parang in a position to attack! 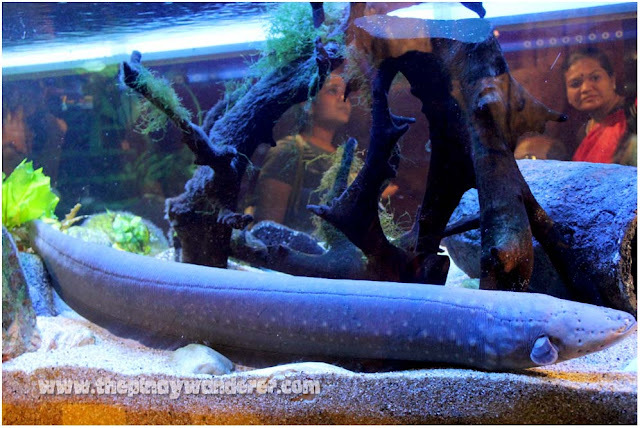 May electric catfish din pala! Ang kaibahan nya lang ba dun sa ibang catfish e yung orange na buntot! Sarap pa namn adobo nyan. hehe! kakatakot yung shark yung view nya kasi kitang kita mga ngipin parang gusto mangagat! hehe! ngumiti pa ang pating sayo. btw, nagbabakasyon ka sa KL? invite sana kita umakyat this weekend (sept 15). Dayhike. email mo ako dito: ken@fullpacked.com. I love looking at them. Really enjoyed the virtual tour. 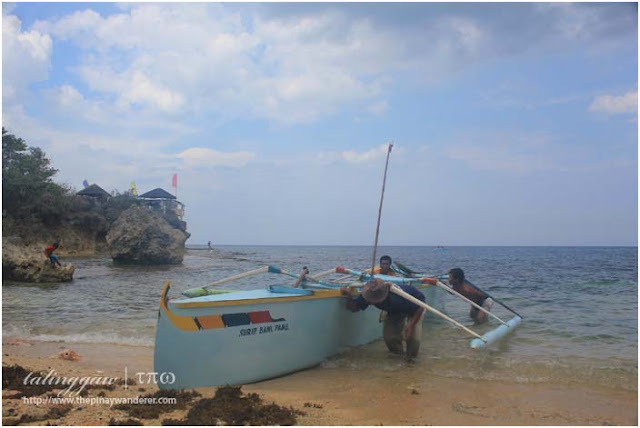 Kung ako ita-touch ko hehe lalo na yung shark.. jowk! Maygawd katakot yung itsura ng shark pero galeng ng shot, nakuha mo ang perfect angle! korek ka dyan Mhie, katakot talaga mga snakes, kahit sa photos lang.